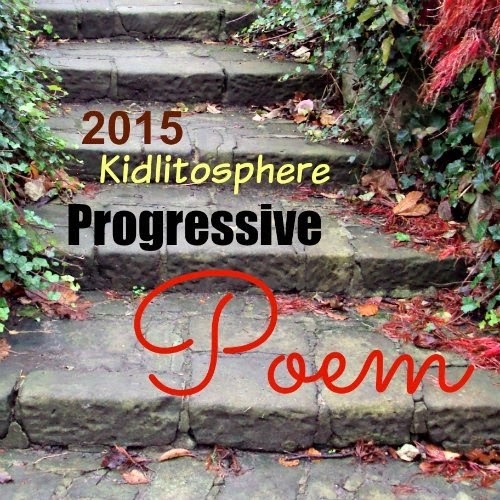 The wonderful Kidlitosphere Progressive Poem, the creative idea of Irene Latham of Live Your Poem, began three years ago. It's both exciting and nerve-wracking to participate. Today it's my turn to add a line to the story filled already with adventure in the seemingly calm waters of a bayou. I must have written dozens of lines before I finally thought "done". Here a young girl changes before our eyes, acquires a tail and adventures into the water, only to meet a lone fisherman. A connection of turquoise eyes has been noted, but yesterday Sheila left me to fill that fisherman's hands as the girl slips through them. I thought of the fish-quickness of a mermaid in the water, the trailing hair, smooth scales. Instead, I added a long-ago memory of the fisherman. . . Here's to the next step, Penny Klosterman! Some of us are sharing on twitter with the hashtag #DigiPoetry, created by Margaret Simon, of Reflections on The Teche.You're welcome to join us. And be sure to find other Poetry Month offerings rounded up by Jama Rattigan at Jama's Alphabet Soup. Ooh, he has a wise grandmother, too! Nice line! Can't wait to see what's next. Thanks, Ruth, there is a connection somewhere, at least to me. You have the next to the end, Donna, wonder what will have happened by then? My thinking is similar to yours, but we'll have to wait and see, right? Thanks. Love that your line brought the fisherman back, I was loathe to lose that twin set of turquoise eyes so quickly. It's delightful to watch the progression throughout the month. I'm glad you like the possibilities, Ramona. We'll see what the next lines bring! Oooh! you gave him a grandmother with wise words too! One chance to what?! I guess Penny will tell us. My mind swirls with those connections, but what? "Luka. I am your father." Haha! Okay, maybe it's just me, but I'm having visions of a family connection here. One chance... hope he doesn't blow it! Hmm, Michelle, didn't know you were a Star Wars fan. It must be, but wonder if the full story will happen in only 11 lines? Thanks. I'll be up early for this next line from Penny. Perhaps it is the same grandmother? I haven't seen the progressive poem since the first few lines. I love how it has progressed, and I love the connection of grandmothers and memories that connect in your last line. Thanks, Kay, glad you're now caught up. You're welcome, Irene. It was fun to be in the middle, actually! Lots of 'what-ifs' to consider I guess. Fun! One chance, huh??? I'm thinking! Thanks for a great setup, Linda. I'll do my best to add a fitting line. I know you will, Penny. I'm happy you think it's a good send to you. I was nervous! Thanks! This is fabulous! Can't wait to see what Penny does. Thanks, Catherine, now we just have to wait till morning! Do you know the book The Islander by Cynthia Rylant? This is sounding so much like that book. This poem could be made into a beautiful children's book. Who will take that on? I don't know if I've read it or not. I've heard of it, but. . . I've been thinking about the story like that too-should be Irene! Thanks, Margaret. The pictures in that children's book "to be" are already drifting through my mind. How clever you are Linda adding memories of the fisherman to this. Thanks, Julieanne, this is quite a collaboration, isn't it? I love the memories of the grandmother. Great direction. Thanks, Jone, on we go! Oh, the grandmother. He knows. This is it. I am excited! His looking at her wrist - that bracelet she just stroked. Soon we will know. And too, we will have the gift of a hundred possibilities...writing with friends. Beautiful. Thanks Amy, I agree, lots of beautiful possibilities when many minds are working! Monday Reading - Poetry, too! 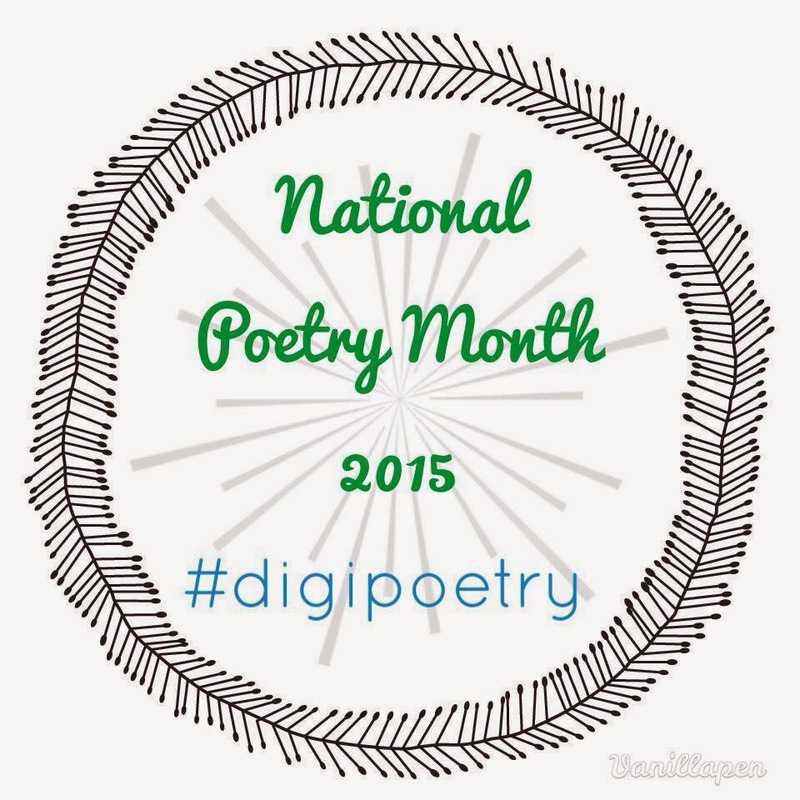 April Is Poetry Month-So Are All The Others!